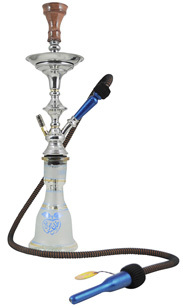 Smoke from the hookah that basically started it all. 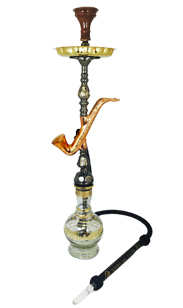 The Egyptian hookah is considered to be the most authentic version of the hookah pipe and is highly regarded in the hookah smoking world. 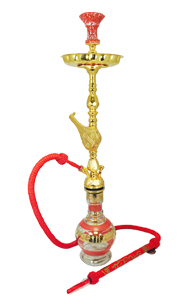 Tradition meets classic style and a true air of the old world when you are smoking from an authentic Egyptian hookah. 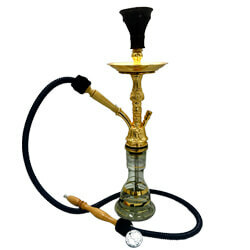 Egyptian hookah pipes are traditionally handmade and crafted with the utmost care and an extremely focused eye for detail. 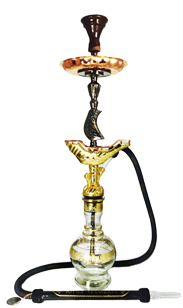 Egypt is still one of the forefront countries producing hookahs, and they have been maintaining the same amazing craftsmanship for a long time. 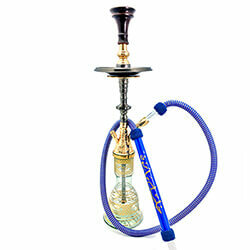 With adjustments overtime to quality and durability, the Egyptian hookah has maintained its level of high reputation of being one of the finest hookahs on the market. 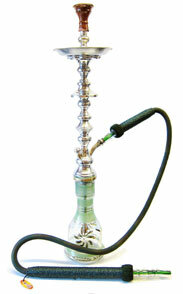 Egyptian Hookahs are typically offered as one hose hookah models. 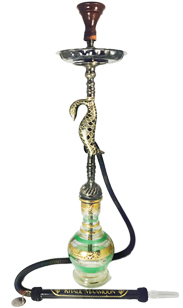 Over time, though, multiple hose Egyptian Hookah pipes are becoming more common as the proliferation of smoking a wonderfully crafted and sought after hookah has risen. 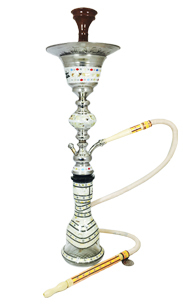 Egypt is also home to Khalil Mamoon Hookahs, currently the #1 Hookah brand worldwide. 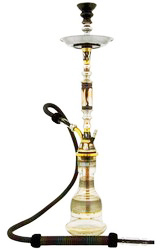 SouthSmoke.com is proud to offer such a wide variety of Khalil Mamoon Hookahs as well as a plethora of other Egyptian hookah pipes and accessories. 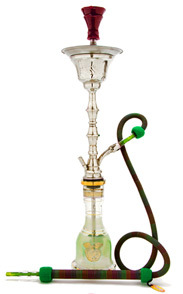 If you're looking to experience genuine quality, amazing handcrafted detail, and one of the smoothest smokes available on the market, look no further than the majestic beauty of an Egyptian Hookah. 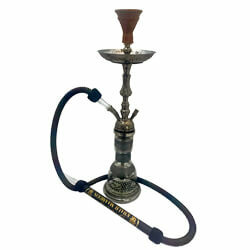 Browse SouthSmoke.com's vast selection of Egyptian Hookah products to find just the right item you need. 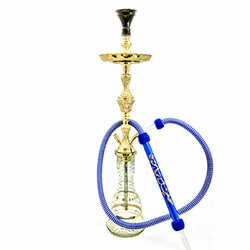 Looking for a specific style of hookah not available in our Egyptian Hookah selection? No worries! SouthSmoke.com offers a huge selection of fine hookahs for novice smokers to true shisha aficionados. 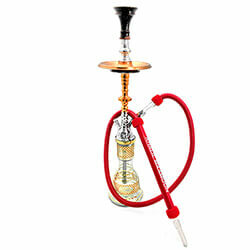 Browse our hookahs and hookah accessories to find what you're looking for. If you still aren't finding what you need, contact us today, and we will help you locate exactly what you want.